Great music is the source of great mood. Anytime we have some spare moments in our hand, we usually like to fill those with great music. It keeps mind calm and mood delighted. Same way, the source from which the music is reaching you is equally essential. It is really annoying when you have improper music system or amplifier. If I talk about myself then I would like to add that I like listening music, especially when I am driving. That is why my car audio system has to be perfect. However, I have noticed that a good car amplifier can boost the sound creating tendency of an audio system. So first you need is a good car amplifier. Now, are you worrying about the installation? Well, that can be get done by some specialist but if you want to take care of it yourself then I have this detailed car amplifier installation guide for you. It is a simple guide with few quick steps. After being done with these steps, you can enjoy greatest music in your car. Step 1: Firstly you need a nice amplifier. Of course you cannot begin with the installation unless you don’t have quality amplifier in your hand. There are certain qualities of a great amplifier and that includes making the sound of the speaker, crispier, louder and sharper. You must also consider the RMS power and the number of channels the amplifier has while selecting an amplifier. 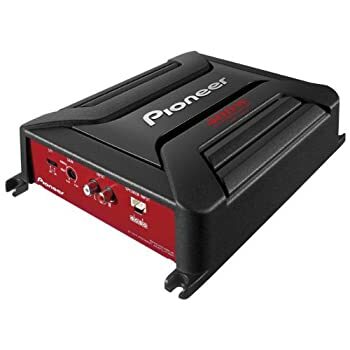 Just for your knowledge, the amplifier with A4 channels support 4 standards in car speakers where as A2 or Mono Amplifier supports the functionality of one subwoofer. Step 2: So now when you have the amplifier with you, it is the time to spot its location. A tip that might help you is that while you are selecting an amplifier; make sure that it is within 12 feet from your stereo receiver. This will not allow the interference. Another very important aspect that has to be considered is about the ventilation. If you ask me, I would suggest positioning the amplifier under the front car seats. Step 3: Tools are very essential while you are planning to install an amplifier. Your kit must include the tools such as grounding cable, fuse, self strapping screws, grommets, fuse holder, signal cable, power cable, ring terminals, turn on wire, etc. These are some of the essential tools that you must have. However, there are certain other tools that are equally essential such as: wireless drill, wire strippers, panel removal tools, etc. Step 4: Now you are prepared with everything you need. Let’s commence with the process. Firstly, it is instructed to disconnect the negative terminal of the battery of your car. This will diminish the risk of electric shocks. As the battery is the power source for the amplifier, it must be kept disabled until the work is done. Now, it is the time when you connect the power cable to the positive terminal of the battery. Just make sure that the fuse is not connected to the fuse ring holder without the ring terminal. Then you have to drill a hole in the fire wall. Make sure the hole that you just made is at least 4 inches away from the main harness of the vehicle. Take out the grommet that is identical to the size of the wire and carefully slid it inside the hole. Make sure that you have taken care of the symmetry as you can run it through the firewall hole under the carpet. Step 5: Next you will have to set up a signal cable and take it behind the empty stereo head compartment. Take it to the place where you have kept the amplifier. Now, it’s the time when you connect the turn on wire to the receiver. It should also be connected to the speaker back. Step 6: After that, you should connect the grounding cable. What is the need for grounding? Well, it is important so that there is no risk of electric shocks as amplifier produces electricity when it is used. One end of the cable is connected to the amplifier and the other ends should be secured using a ring on the car frame. Step 7: Now is the time when you connect the car speakers. The wire used to connect to the speakers should be of high quality and connect it to the designated output and inputs on the amplifier. There is no certain number of speakers that should be connected. You can connect as many as you like. Step 8: Now is the time when you finish installation process. Now, you have to attach the power cable and signal cable and also the turn on wire. Now you just have to insert the amplifier plug into the battery and shut down the protective sheath. You are all set to enjoy great music. So, this is the process that can help you in installing a car amplifier. Do share your reviews with us!